Find out what the Mortal Kombat 11 beta start and end times are. The Mortal Kombat 11 closed beta start and end times are now available for those looking to dive into the upcoming fighter game. Thanks to some more information from WB and NetherRealm, we now know exactly when the beta will kick off, as well as what time it will come to a close. If you want to take a chance and dive in, then here’s all the information that you’ll need to know. 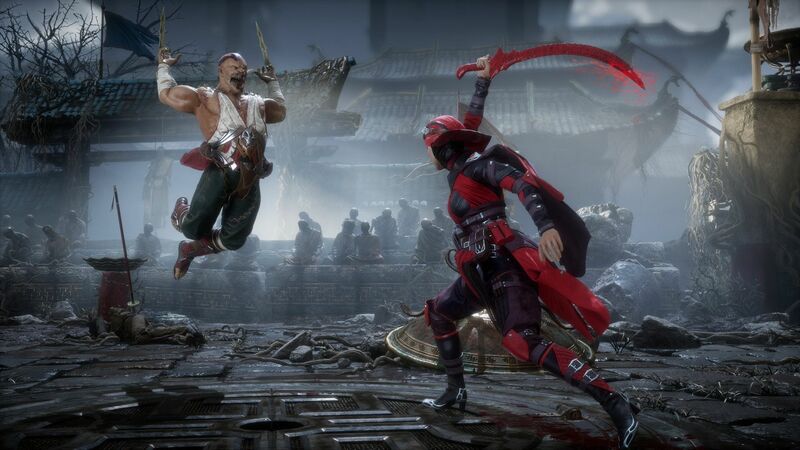 Players looking to dive into the Mortal Kombat 11 closed beta will be able to do so starting today, March 27. As of 8:00AM PST, players who preordered Mortal Kombat 11 can download and log into the closed beta program. You can check out the full infographic from WB and NetherRealm below to see exactly what time the beta kicks off in various timezones. 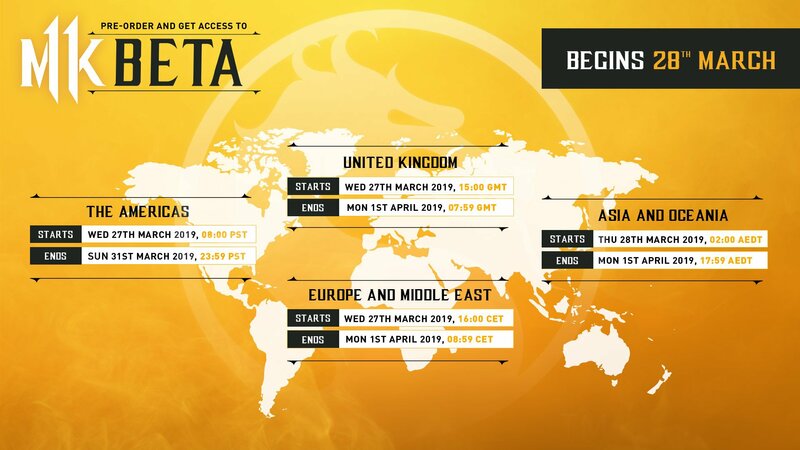 Here are the Mortal Kombat 11 beta start and end times across the world. Players will have until Sunday, March 31 or Monday, April 1 to take part in the closed beta, depending on their time zone. Those in the US can expect the beta to end around 23:59 PST, giving them a good few days to try out the game and the fighters contained within. If you’re interested in joining the Mortal Kombat 11 closed beta, then you’re going to need to preorder the game. NetherRealm have yet to reveal any details for an open beta just yet, so you will have to purchase the game to gain access. If you’ve already purchased the game, you can redeem your beta code from any physical or digital version of the game not bought inside of the PlayStation or Xbox store. If you purchased directly from the PlayStation or Xbox store, then you’ll find the beta client available for download in each respective marketplace. Now that you know the Mortal Kombat 11 beta start and end times, as well as how to join the beta, make sure you stay tuned to our Mortal Kombat 11 hub for more news, info, and strategy guides to help you master each fighter.